If you're 60-plus but feeling like retirement is not an option for you, you're not alone. According to a survey conducted in late 2009, seven out of ten mature workers in the U.S. are delaying retirement due to financial reasons. 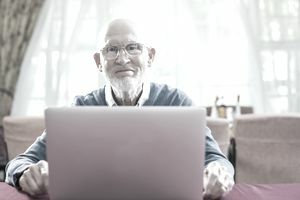 And instead of thinking of about leisure activities and relaxation, many older IT workers with years of experience under their belts are looking to upgrade their technical skills so they can remain competitive in the job market. Here are some tips to help you work through your retirement options, transition into your next technical job, and show just how valuable you are to your current -- and future -- company, boss, and colleagues. Have a chat with your human resources department. If you have a certain plan in mind in terms of how long you are going to stick with your current job, make sure HR knows; they can help you sort out details about your future if you're not sure how things will work out. Remain open to a change in plans. If your current employer has been making plans based on when they think you're going to retire, and you suddenly decide you want to stick around, you might find that this complicates things. Find out whether you might be able to work on other projects if your employer has already decided to hand yours off by a certain time. Networking is key. Make sure you build your network, on both a social and professional level, so that you have some connections and potential job leads in case staying with your current employer is not an option. If you're not on it already, sign up with LinkedIn to make connections online, and get recommendations from people who have worked with you in the past. Get involved with mentoring and cross-training. You have tons of experience and knowledge to pass along to others. Offer to become a mentor to a younger employee (or even someone outside of your workplace), or to help cross-train someone from a different department. This will demonstrate your value to both your current employer and potential future employers. Make sure your resume is up-to-date and relevant. Especially in the technology industry, skills and certifications can become obsolete very quickly. To avoid looking dated, leave off the floppy-disk-era experience and focus on your most modern areas of expertise. Use your age to your advantage. Rather than getting defensive and feeling like you’re at a disadvantage when competing with all the fresh-faced college grads, focus on all the good things your age brings to the table. You’re experienced, you’ve proven you can adapt to a constantly changing work environment, you’ve had more time to hone your communication and leadership skills...the list goes on. Don’t get discouraged. If you’re out of a job and in the market, give it time. Older workers take longer on average to find a new job; CareerCast.com reports that the average baby boomer has an 8.5-month long job hunt. Use the downtime to network, update your skills, take a breather before jumping back into the workforce. You could also look for freelance or consulting work to help pay the bills in the meantime. Finally, in addition to using all the regular methods for finding a job, take advantage of job resources for mature workers. Some websites to check out: Seniors4Hire, WorkForce50, and Senior Job Bank.